I’m willing to bet you’ve heard that statement a few times before, especially if you’ve been travelling as a married couple. We’ve heard these words so many times throughout our travels that we actually started to believe them, which was very unsettling when we finally decided to have a family. Travel has always played an important role in our lives, so the thought of giving it up to raise a family seemed like crappy deal. So we decided to ignore this advice and bring our little man on a trip to California when he was only 3 months old. We wanted to prove to ourselves that we didn’t have to stay grounded just because we had a baby. That first trip with our baby boy taught us a lot. 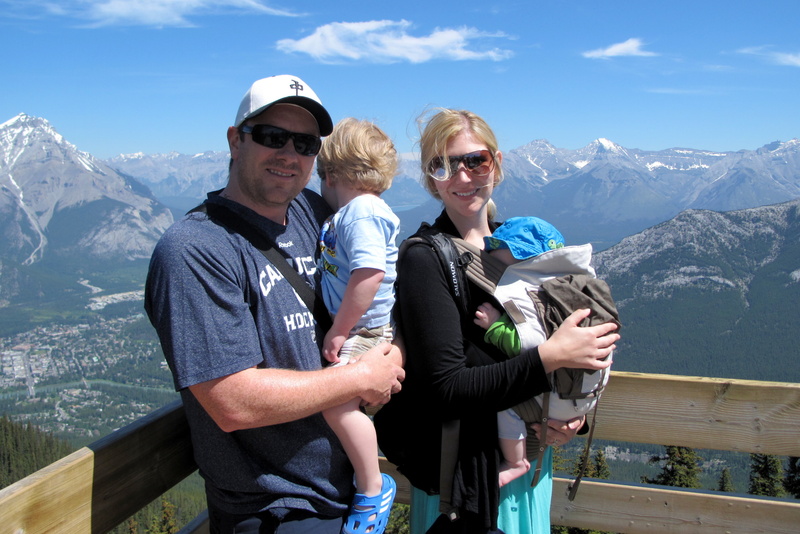 We learned that travelling with a baby wasn’t nearly as scary as we originally thought. Sure, it’s not as easy as travelling solo or as a couple, but flights really aren’t that bad (provided you come prepared) and sharing accommodations is actually quite fun. The fears and anxiety we had built up in our minds was completely unnecessary. Now, we’d be lying if we said that travelling with a baby is easy. It most certainly is not. But most of life’s meaningful experiences aren’t easy. Travelling with our little boys has been given us some of the most rewarding and memorable experiences we’ve ever had. 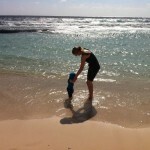 Welcome to our Baby Travel Blog! The couple behind this blog is Nicole and Cameron Wears, a Canadian couple living in beautiful British Columbia. 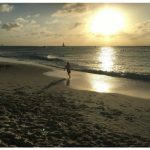 We also run a popular travel blog called Traveling Canucks, check it out if you’re looking for more travel inspiration. 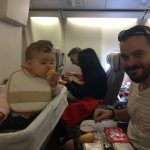 We started this little ‘ol baby travel blog back in 2011, around the time we welcomed our first baby boy to the world. Two years later, we welcomed our second baby boy and now we travel as a family of four. 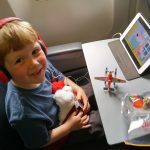 We’ve often heard newbie parents say, “We’re just going to wait until our kids are older before we travel again.” Now, there is nothing wrong with that plan…unless, of course, you actually WANT to continue travelling. We’ve learned that you CAN do both, but you must change your expectations and accept that your travels will be different. That’s why we decided to create this baby travel blog. 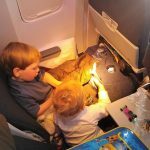 We want to share our baby/family travel experiences and pass along the tips and tricks we learn along the way. 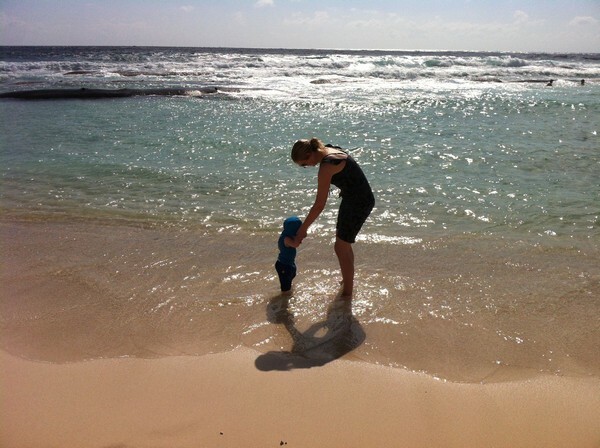 Our hope is that you find some answers to your baby travel questions. If we can help your travel planning in anyway, please feel free to contact us. Here are a few helpful posts to get you started. HCS Gadgets recently posted..Which hoverkarts are compatible with the Zinc Smart X hoverboard Argos? Traveling with your children will be wonderful, good luck. We live in Washington, D.C., and our twin boys will be 10 months old when we travel to Australia (24 hour flight, 12 hour time difference) to visit my husband’s family next month. I’m still pumping and the boys are eating pureed foods and crawling, and I was wondering if you have any tips for a trip like ours.